Founded by Edouard Heuer in 1860 at Saint-Imier, TAG Heuer has been at the avant-garde of Swiss watchmaking for 144 years, producing sports watches and chronographs of superlative design and precision that are among the most prestigious and iconic items in the worldwide watch market. 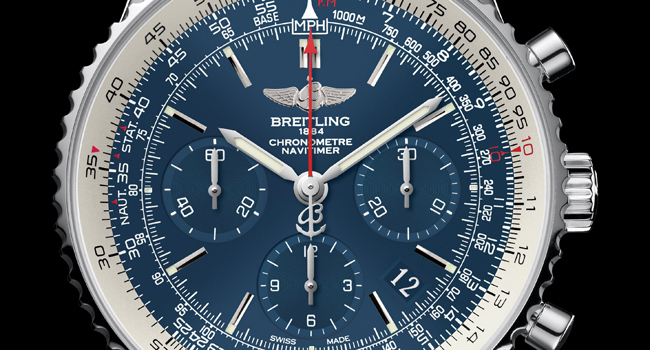 From the first patent for a chronograph mechanism in 1882, to the patent of the oscillating pinion in 1887, from the first chronograph measuring 100ths of a second in 1916, to the first Microtimer at 1/1000th of the second in 1966, not forgetting the first automatic chronograph with a chronomatic caliber 11 with microrotor in 1969, Heuer wrote some of the greatest chapters in watchmaking history. Currently the fourth luxury watch brand overall, the brand’s intense engagement in Formula One as the Corporate Partner and Official Timekeeper of the Team McLaren Mercedes, Golf with Tiger Woods, sailing, and skiing, and its new role as Official Timekeeper of Indy Racing League and of the legendary Indy 500 race, is the driving force behind its commitment to creating the most precise measuring instruments and sports-inspired timepieces ever made. By consistently cultivating close links with the world of sport, TAG Heuer has acquired genuine legitimacy in this field and unique know-how in terms of performance and reliability that have enabled it to develop new technical improvements which ensure the most precise measurement possible of athletes’ performances and define the six unsurpassed TAG Heuer characteristics which define a true high-end Sportswatch : water-resistance to 200 meters, unidirectional turning bezel, screw-in crown, scratch-resistant sapphire crystal, double safety clasp, luminescent hands and hour-markers. 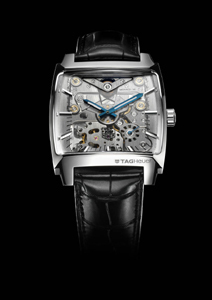 In 2004, TAG Heuer has confirmed its position of leader of the watchmaking industry by launching two innovative products at the worldwide Basel Fair. 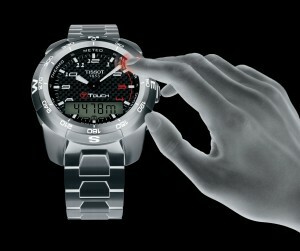 The TAG Heuer Monaco V4 Concept Watch the first design-integrated mechanical movement truly of the third millennium. A revolutionary timepiece which has been recognized by the international press and by watchmaking world as THE star of Basel Fair 2004. The SLR Chronograph by TAG Heuer, a commemorative timepiece exclusively for owners of the Mercedes-Benz SLR McLaren, celebrates the TAG Heuer’s 20-year alliance with Team McLaren Mercedes. The TAG Heuer/McLaren partnership, one of the longest-running sponsorship programs in professional sport, is stronger than ever, with TAG Heuer playing a key role in the new McLaren Technology Centre, as well as in upcoming McLaren Mercedes road car and timekeeping projects. TAG Heuer will also celebrate during all the year 2004 the 40th anniversary of the iconic Carrera created by Jack Heuer himself in 1964. For this special event, TAG Heuer has launched the Carrera 1964 Limited Edition, a commemorative and exclusive product realized in 1 964 timepieces.